If you’d talked to me three years ago about money saving, tightening your belt or being frugal I’d probably have glazed over after five minutes and wondered if you’d been spending time with my Mum lately. Recently things have changed, obviously I have a child and a dog so I’m a real grown up but I think there’s been a shift in how we all think about being thrifty. It’s almost become cool to be smart with your cash, everyone seems proud to be a bargain hunter these days. In fact it can be a badge of honour to be able to say ‘Hey, look at these amazing shoes I got on sale‘ or ‘I shopped around for car insurance and we’re saving X this year!’ As it turns out my Mum was right all along… it is cool to save money where you can so that you can concentrate on paying off debts, building up savings or treating yourself. Envirofone set us a challenge to see if we could be £100 better off in one month by making or saving some cash. 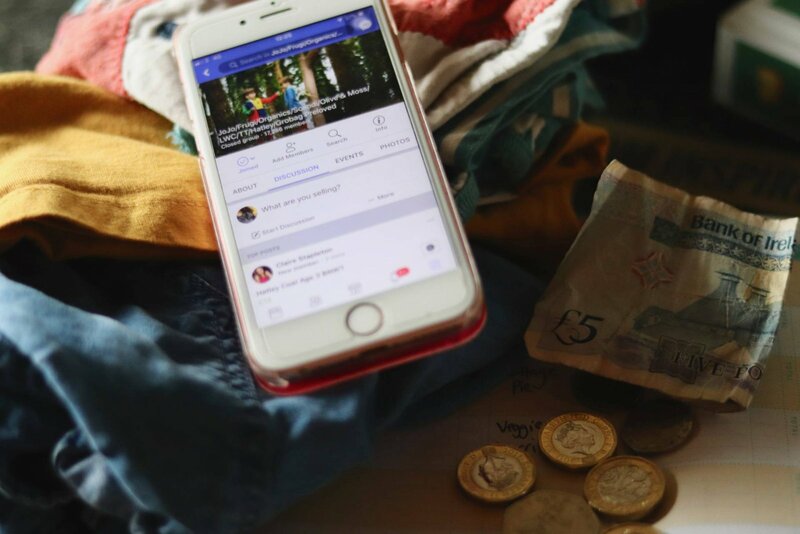 I get a lot of my money saving advice online, from places like Money Saving Expert and blogs like Emma Drew or Katy Kicker so when the team at Envirofone asked me to follow some of Emmas advice to help me on this challenge I knew it would be a good month. 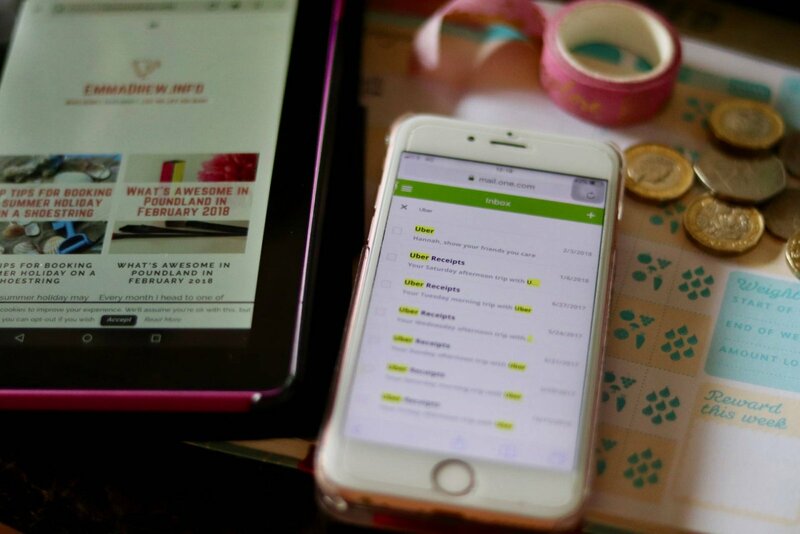 Read on to find out how we added almost £200 to our holiday fund by saving and making money in January. The first thing I did to start the challenge off was looked at our biggest outgoings and I wasn’t surprised to see groceries were pretty high up on the list. Matt & I both use a Monzo card which has a brilliant app that really highlights where your money is going with handy diagrams – it can be a bit scary! It made sense to me to tackle our food spend to make some savings and hopefully some healthier choices too. If you don’t currently meal plan I really recommend giving it a go, even if you prefer to stick to your usual supermarket having a more organised approach will reduce impulse buys and waste. In a similar vein, Matt decided to stop buying coffee on his way to work and brought his own in a travel mug saving just over £30 over the course of the month. Another one of Emma’s tips was to look at our regular payments and really think about whether they are necessary. Obviously I’m not suggesting you cancel all your direct debits but weigh up how much use you’re getting from various subscription services and consider which you could cancel. One service we cancelled was Disney Life, I know a lot of people love it but I’ve found it a bit glitchy and as we already have Amazon TV included as part of our Prime membership and a Netflix subscription I just couldn’t justify the cost. It’s only £4.99 a month which is good value but Luisa is too young to really get the benefit and as I said I find Netflix and Prime TV more reliable. Due to the Ts&Cs I won’t see a saving until this month so I won’t include the total in this challenge but going into the rest of 2018 we’ve saved around £50. Another place I saved money in January was on transport, we’re lucky to only live about 15 minutes drive from the city centre and have pretty frequent buses but the sheer convenience of Uber won me over more often that I care to admit in December. You might know I don’t drive so when Matt is working Luisa and should really be taking the 10 minute walk to the bus stop to make a 20 minute journey into town for £1.50. Instead, whilst Christmas shopping I took an Uber 3 times at a cost of £12 for each round-trip. Yikes! It’s actually quite embarrassing to think that my laziness and reluctance to get caught in the rain cost me £36 in December. A quick flick through my e-receipts showed me that October and November weren’t much better! In January Luisa and I went into town twice and to soft-play twice, with our Uber problem that would have cost £44 but taking the bus came to £12 saving me £32. Saving money feels really good but it can often take a few weeks or months to really add up. I’m someone who needs a lot of encouragement along the way to help me stick with things so I knew I needed to see some fast cash coming in to keep my motivation on a high. One of Emma’s tips was to declutter and sell clothes, baby gear, furniture or ornaments that you don’t need or want. I love a Kon Mari style purge so I thought I’d give this a go in Luisa’s room. We usually donate anything she’s grown out of to charity but I decided to save some of the fancier brands and try to sell them on Facebook. I joined some groups specifically for fans of JoJo Maman Bebe and Little Bird clothes as I’d heard they hold their value well. I managed to make £41 selling 6 items which went straight in the holiday pot. To be totally honest it was a bit of a faff, photographing each item, adding descriptions and answering questions but it was good to see some of the cost of her pretty clothes recouped. Matt also sold some of his old band t-shirts and shoes on eBay which did extremely well, much to my surprise. 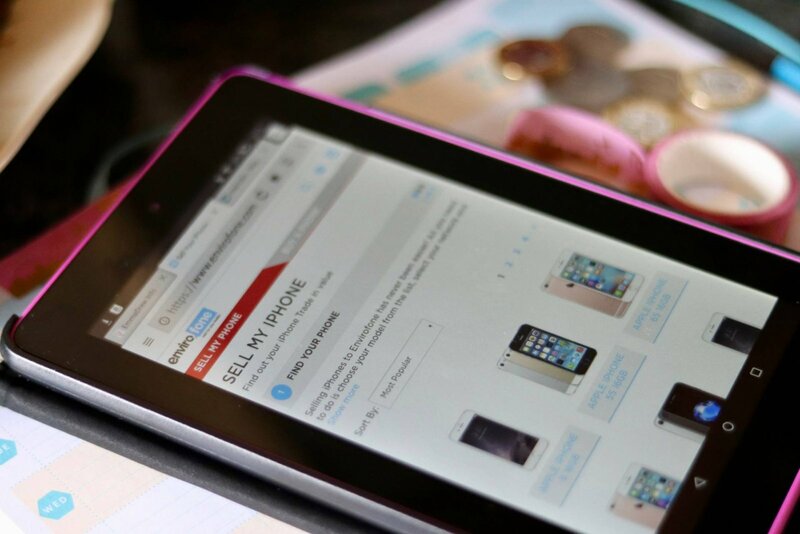 After the buzz of making a bit of extra cash with a clear out I logged on to Envirofone and found that my old iPhone 5c was worth £23 and a Samsung galaxy mini could fetch £15 – not enormous sums but certainly better than having them gather dust! It only took about 15 minutes to arrange to enter the details send the phones off, Envirofone even sent out the packaging. We were £38 up within about 10 days so it was time well spent as far as I’m concerned. Plus, whilst Matt rooted around in the electronics box to find the handsets he cleared out a load of leads and chargers we didn’t need, hurrah! 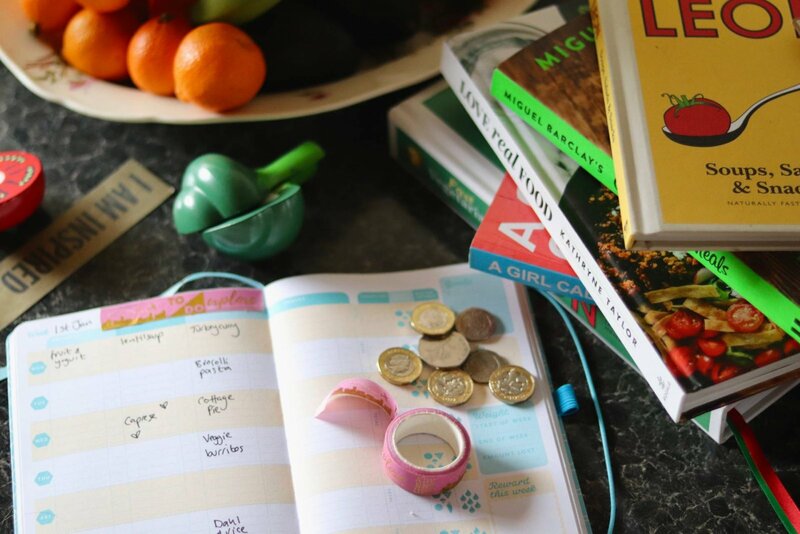 About half way through January I was pretty confident I was on target to smash my goal of saving or making £100 but I decided to experiment with a few other ways to make money. I signed up for a couple of survey sites including Valued Opinions and Swagbucks but to be honest I found them quite tedious and I made less than £10 before I gave up. I think if you have a young baby they would be a good option though, as you can take surveys during those cluster feeding marathons. In total we managed to make or save £192.87 in January, not including Matts eBay sales (which he promptly spend on car products) or the Disney Life subscription I cancelled. If you had told me that I’d be able to save that much in one month I wouldn’t have believed you. The most shocking thing for me was just how easy it was, obviously we won’t have clothes or gadgets to sell every month but making changes to our grocery shop and taking the bus has made a huge difference and it’s something we’ll be carrying on. I’ve definitely got the bug now as I’m looking at ways to save on our other regular outgoings like energy payments. Also, Matt’s car insurance is up for renewal in a few weeks so he’s using a comparison site to review his options there. 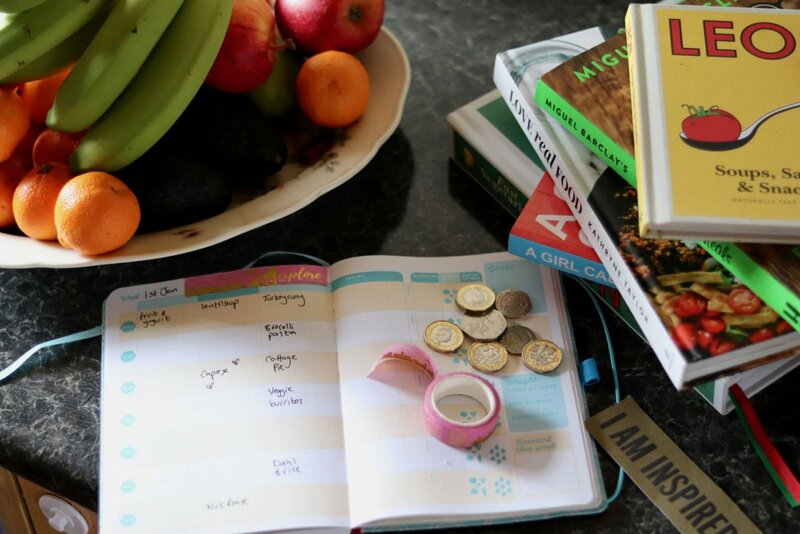 If you’ve got any great money saving tips I’d love to hear them, even if it will only shave off a few pounds a week it all adds up! Well done on your money saving efforts Hannah! It’s amazing how the little changes can really make big changes isn’t it – like the coffee to work for example. I sold the boys Little Bird clothes too, amazed at how well they held their value but yes, photographing everything was such a faff! I really need to start paying more attention to what we spend! I’m already planning on checking all our old phones now thanks Hannah! Great effort Hannah! So many savings there and it goes to show how much we can save if we put our minds to it! I need to prepare lunch and snacks more as that’s my biggest downfall, popping into marks and Spencer for a tasty past salad and some chocolate!! That’s a great saving. It’s amazing how much you can cut down on even when you think you are being quite sensible. Well done on boosting the holday fund! What a brilliant saving! Well done! Wow you did amazingly well. It is incredible how much we spend on food and drink on the go, isn’t it? I used to spent almost £20 A DAY when I worked in London. The surveys can be hard going. I would recommend One pulse app for you phone , which is really quick just a couple of multiple choice questions. I manage $5 a month easily. Also Prolific Academic. These are studies for research and the eligibility questions are andwered upfront so you don’t keep getting screened out. These can make anything from 10p to £5 each.